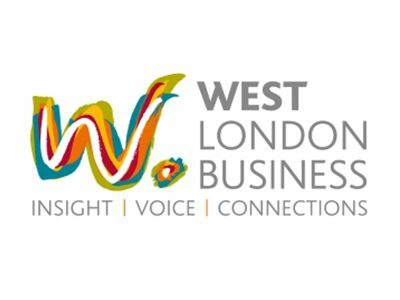 “As a business leadership group representing companies across North-west London, West London Business (WLB) welcomes the tabling of the Airports National Policy Statement on Heathrow expansion. “Our members’ commit “to work together to drive forward the sub-region’s global economic competitiveness, whilst pursuing social and environmental sustainability”. As such we have spent many years working with Heathrow airport to help inform the thinking behind the Heathrow 2.0 strategy for a sustainable airport and an industry-wide shift towards a sustainable future for aviation. If, as we hope, airport expansion gets the go-ahead tomorrow we assure our local MPs and the local community that we will continue to work hard with the airport to ensure the successful implementation of the strategy for a zero carbon, socially responsible airport. “By backing Heathrow expansion, the Prime Minister and her Government will be making a decision in the interests of businesses of all sizes across the UK. Tomorrow every MP will be asked to vote on the Airports National Policy Statement, and on the future of the UK’s aviation sector. As an island nation with ambitions for a strong trading future, maintaining and strengthening our international connections has never been more important. a zero-carbon infrastructure legacy that can inform future airport design in the UK and around the world. “West London Business wants an expanded airport which is delivered responsibly and sustainably for local people, minimising impacts while maximising the huge economic benefits. Heathrow’s published plans have been designed to do just that; with a world-class community compensation scheme, a promise to meet UK legal obligations on air quality before capacity is released, and a committed goal to expand while affecting fewer people with noise than today. “Through our partnership and engagement with Heathrow, we have seen first-hand the measures that they are taking to achieve these targets, working in collaboration with communities and our members to design a future airport with its neighbours at the heart of Heathrow’s plans. “Tomorrow’s vote on Heathrow expansion is a once-in-a-generation opportunity to unlock growth for North-west London and our businesses, from the largest exporter to the smallest SME. It shows international investors that we’re open for business, with ambitious plans for our future. Our country’s continued economic success relies on its vibrancy, dynamism, and international connections. Expanding the UK’s only hub airport is essential to keeping North-west London, and the rest of the UK, competitive globally.